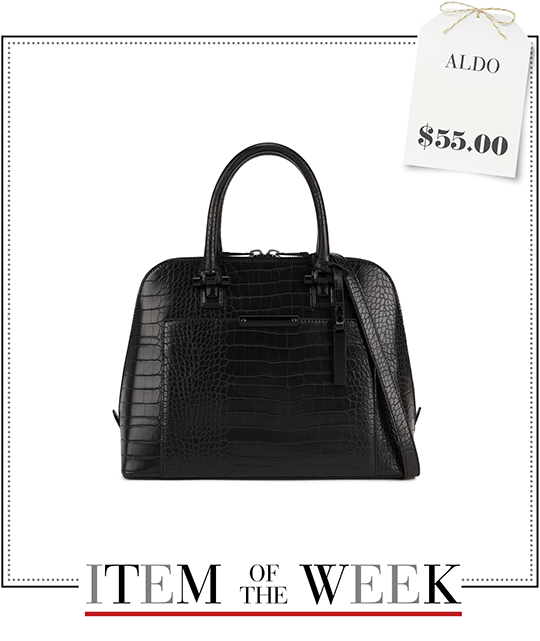 A faux leather crocodile-embossed satchel from Aldo. See how you can coordinate your wardrobe in 5 different ways with 1 item, under $100. Monday Office-friendly: A leather pencil skirt will make a smart, modern addition to your office wardrobe. Wear this figure-flattering bottom with a chunky turtleneck sweater to coordinate an eye-catching outfit. As for accessories, make sure to add a pair of lace-up pumps, a diamond star bracelet, and pink lipstick. Finally, spritz on some sweet-scented perfume and grab this week's black satchel. 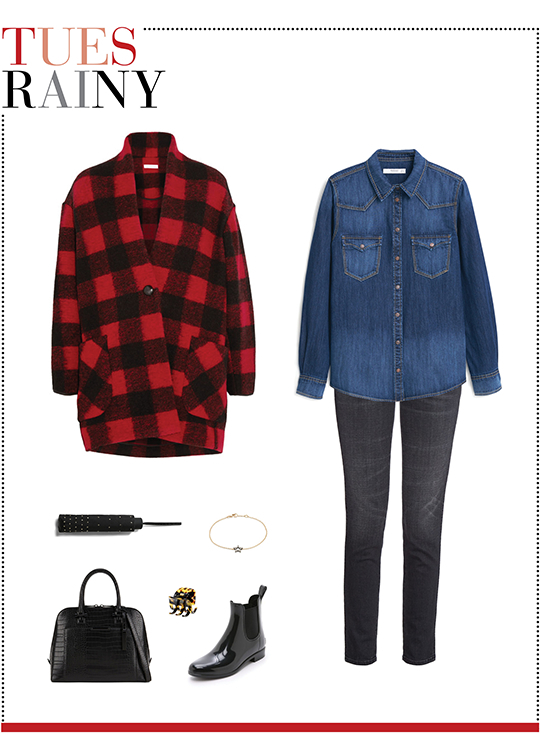 Tuesday Rainy: A red & black plaid coat is perfect for channeling that 90s grunge aesthetic. So take a style cue from this Seattle-born iconic fashion trend and team up this cozy wool outerwear with a denim shirt and gray skinny jeans. You can also add a few weather-proof accessories to complete your look such as a pair of PVC Chelsea boots, a studded umbrella, a tortoise hair clip, Monday's star bracelet, and the Aldo satchel. Wednesday Date Night: An ivory belted crepe de chine dress is an elegant choice for any evening event. Slip on this fluid frock and accessorize with a lovely pearl cuff, a pair of crystal-embellished pumps, and this week's crocodile-embossed satchel. 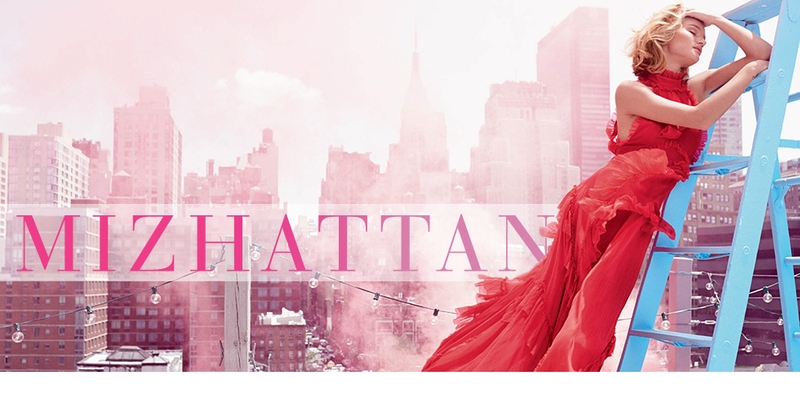 You can also use Monday's pink lipstick and some red nail polish to add a feminine finishing touch. 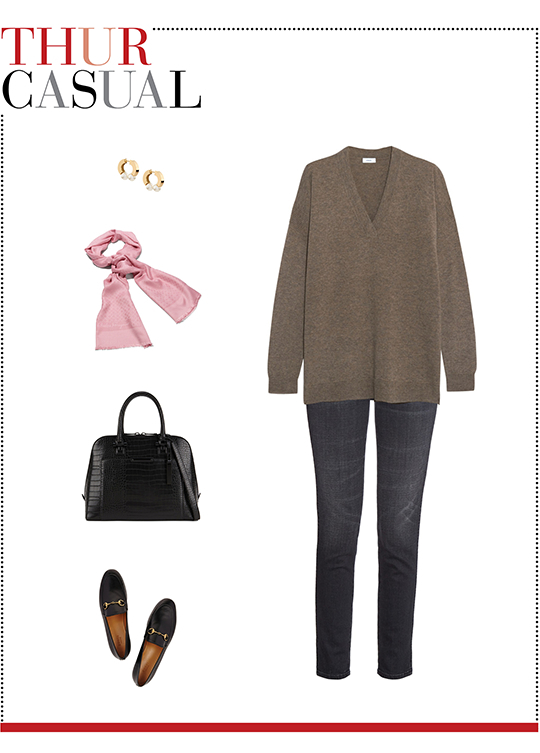 Thursday Casual: A sumptuous cashmere sweater is the foundation on which to create a stylish and versatile autumn attire. So put one on and make the most of it by matching it with these items: a pair of gold-tone pearl earrings, a pink silk scarf, black loafers, Tuesday's gray skinny jeans, and the black faux leather satchel. 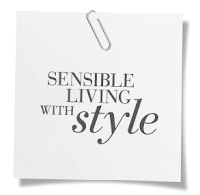 Friday Dinner Plan: Attending a chic dinner party? Then let's put together an ensemble that's fabulous from head-to-toe. Start by wearing a flirty off-the-shoulder polka-dot dress and slipping on a pair of red ankle-strap sandals. Next, add a red tulle flower brooch and grab this week's Aldo satchel to class up your look. Finally, bring back Wednesday's red nail polish and Monday's floral fragrance to finish everything off.